June 17, the Next Battle of Yorktown! The American Revolution effectively ended with the surrender of British troops at Yorktown in 1781, liberating thirteen sovereign states from the tyranny of rule without representation. Now the York County Board of Supervisors is poised to usurp the property rights of many of its residents by changing zoning designations. The board is seeking to undermine the gains achieved for Virginia’s family farms by two bills recently signed into law by the governor: SB51 allowing on-farm activities without requiring special permits and HB1089 clarifying aquaculture as an agricultural activity. The county has been in disputes with oyster farmers Anthony Bavuso of Seaford Oysters and Greg Garrett of Forbidden Oysters; and, despite the legislative remedy clarifying the farmers’ right to continue their aquaculture operations as a part of agriculture, the Board of Supervisors is seeking to make radical zoning changes that could negatively impact as many as 7,000 residents. Outraged by the blatant power grab, a peaceful “Pitchfork Rally” was held in May before a meeting of the York County Planning Commission. It’s not just about oyster farming; the proposed zoning changes would eliminate the option of many residents to grow their own food and enjoy the right to sell to others. I support the amendment to the state code that clearly defines aquaculture as agriculture, and I believe this is a commonsense policy decision. I stand with my constituents who oppose the loss of the right to farm their own property, a right that they currently enjoy. How ironic that they face losing their liberty in Yorktown, Virginia, where freedom was won. The Planning Commission actually voted unanimously to recommend denial of the York Point rezoning. the Rural Residential (RR) zone for the express purpose of stripping citizens’ ability to conduct agriculture. The Board of Supervisors will also vote to apply this new R33 zone to the York Point area where embattled oyster farming Anthony Bavuso operates his farm. The Board is poised to vote to approve it in spite of the Planning Commission’s recommendation against it. The creation of the R33 zone and the York Point rezoning will be the first dominoes to fall. County staff have identified 80 other neighborhoods that they believe should also be rezoned to R33. This is an unprecedented land grab! York County citizens have conducted agriculture in York County since Colonial times. 1. Please write an email to the York County Board of Supervisors telling them to vote NO on R33 and NO on the the York Point rezoning. To be more effective, follow up with phone calls. I represent the Weston A. 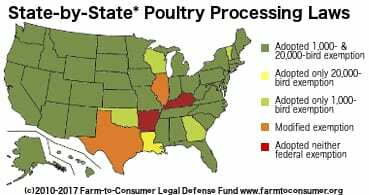 Price Foundation (www.westonaprice.org) and the Farm-to-Consumer Legal Defense Fund (farmtoconsumer.org) as publicist. For the past 7 years, I have been a member of both of these influential non-profits. 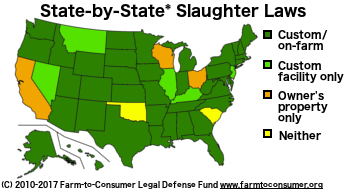 I work on farm direct trade issues in the U.S. and Canada. Greg Garrett is a long time personal friend, as he once was a franchisee of my father’s business, Century 21 of the Mid-Atlantic States. He is as fine a person as I have ever met, and I don’t say that lightly. Thus, I am personally and professionally interested in his struggle to farm oysters in York County. Also, having met Anthony Bavuso, and heard of his struggles to preserve his way of life, I am equally impressed with him. Greg and Anthony Bavuso are part of a growing trend toward more eco-friendly, local agriculture. These small businessmen are stimulating economic revival with small scale, non-industrial, low-impact farming methods. 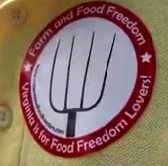 In Virginia we have many such farmers, in fact our state is very supportive of the local food trend. In the past decade, small farms and homesteads have jumped from 5% of Virginia agriculture to upwards of 30%, according to Virginia Dept. of Agriculture. Please see this article on my blog which links to a VA Tech study which says locally produced agriculture could bring $1.65 billion to our state economy! What I see happening in this case is the NIMBY (“not in my backyard”) syndrome fueled by, not realities, but unwarranted fears. Given the positive trend toward home-based, family-centric businesses and more environmentally friendly farming methods, it would behoove the County to take extra caution not to cave to a tiny minority of opponents of these farms. Why single out home-based agriculture for censure, when numerous others, in a variety of occupations, businesses, and professions, also work from home. Consider the source and motivations of the ill will. Catch a Vision for the Local Food Trend. Listen to both sides to make a fully informed decision. Broker peace between neighbors by honoring property rights and economic liberty. Reasonable conditions can be struck where peace of the neighborhood is preserved without overly controlling personal liberties and free trade. There are those who seek to control their neighbors, just because they can. The unexpected negative of special use permits is that they empower those who live to tear others down, merely to satisfy their own sick need to control, or worse for ulterior motives such as destroying market competitors. As public servants, please resist the urge to cave to such pressure without considering the cost to our economy. When we punish the enterprising among us, we are all the losers. YORK COUNTY, Va. (WAVY) — York County residents packed a planning commission meeting Wednesday night to share opinions on three proposals dealing with residential farming. The first would prohibit new agriculture or aquaculture in rural residential and resource conservation areas. The second would create a new “R33″ residential district that would be a low density district. Aquaculture and agriculture would not be permitted as newly established, but could be grandfathered in. The third would establish standards that would apply to any newly established agriculture or aquaculture operation that might be proposed in existing rural residential or resource conservation districts. The area in question, York Point, is right along the Chesapeake Bay at the mouth of the York River, and some of the farming that goes on there includes harvesting oysters. 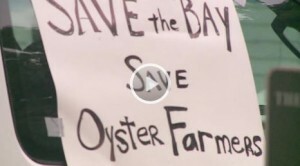 One resident who operates an oyster farm on his property talked to WAVY.com about the proposals. Garrett expressed his feelings of being targeted by the proposals and how he can’t understand doing away the area’s tradition of agriculture. YORKTOWN — A large crowd of people held a pre-hearing demonstration outside York Hall Wednesday night. They were concerned about potential rezoning that could affect farming opportunities in York County, including oyster farming, and gathered before a planning commission public hearing. Citizens gathered in the front lawn of York Hall on Wednesday, May 14 with pitchforks and signs to protest the York County Board of Supervisors plan to consider rezoning the York Point neighborhood. The rally took place right before the York County Planning Commission’s public hearing. The board of supervisors has proposed R14-66, a resolution that rally protesters say will strip them of their agricultural rights. If passed, over 7,000 properties in York County would be prohibited from conducting commercial agricultural operations York Point is currently zoned as Resource Conservation (RC) and a special-use permit is required in order to operate a business there. The county is looking at rezoning the district to R33, which would create a new residential district. 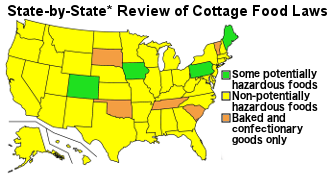 R14-66 is a response to the General Assembly’s passage of Senate Bill 51, which prevents localities from imposing regulations and requiring special-use permits for various activities at agricultural operations — such as agritourism events and the preparation and sale of foods otherwise complaint with state law —and House Bill 1089, which creates a standard definition of agricultural products and protects aquaculture as a form of agriculture. However, there were plenty of anti-rezoning supporters in the room.